Hotel Leelaventure locked in upper circuit of 10% at Rs 12.24, rallied 27% in past three trading sessions, as compared to 2% rise in S&P BSE Sensex. 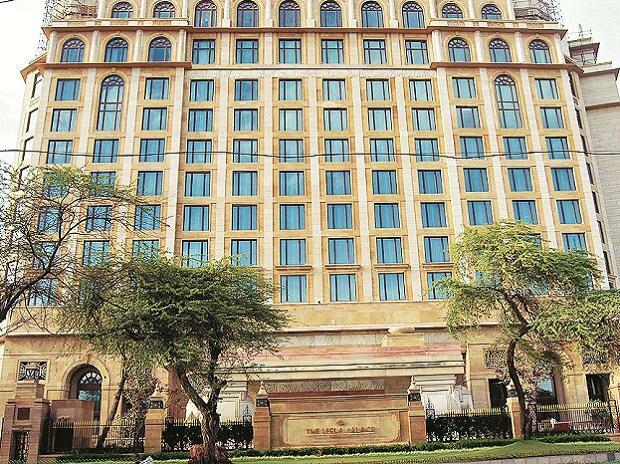 Shares of Hotel Leelaventure hit the upper circuit of 10 per cent at Rs 12.24 apiece on the BSE on Wednesday, after the company said it is evaluating various options for investment in the company or for sale of company’s assets. According to news channel BTVI, Reliance Industries (RIL) is eyeing Hotel Leelaventure. JM Financial Asset Reconstruction Company Limited (JMARC) has filed an application with National Company Law Tribunal (NCLT) against Hotel Leelaventure, under section 7 of the Insolvency and Bankruptcy Code, 2016. Hotel Leelaventure last week said that the company is continuing to engage with prospective investors for a resolution. Reliance Industrial Investments and Holdings Limited, a wholly-owned subsidiary of RIL, holds 18.53 per cent stake in EIH, which operates Oberoi and Trident Hotel brands. Hotel Leelaventure has rallied 27 per cent in the past three trading sessions from Rs 9.67 on Thursday, February 28, 2019. In comparison, the S&P BSE Sensex has moved up 2 per cent during the period. A combined 808,000 equity shares changed hands on the NSE and BSE. There were pending buy orders for 894,000 shares on both the exchanges. On the other hand, RIL was up 2.4 per cent at Rs 1,267, the top gainer among the benchmark S&P BSE Sensex in intra-day trade.